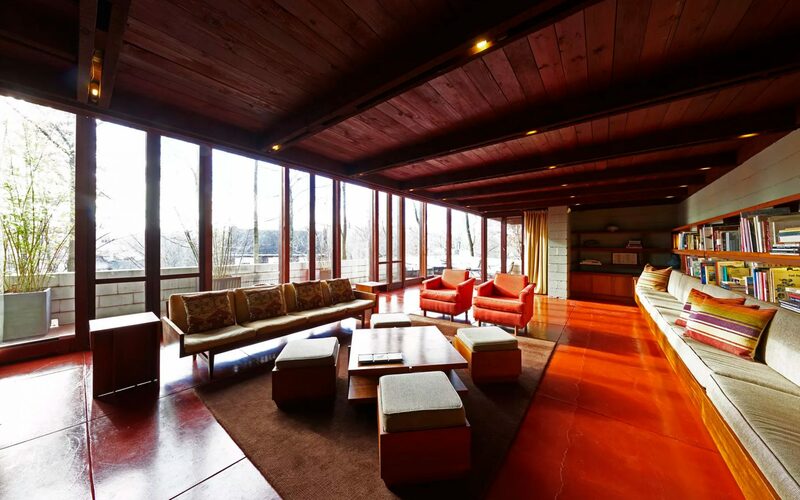 The sprawling, light-filled living room. 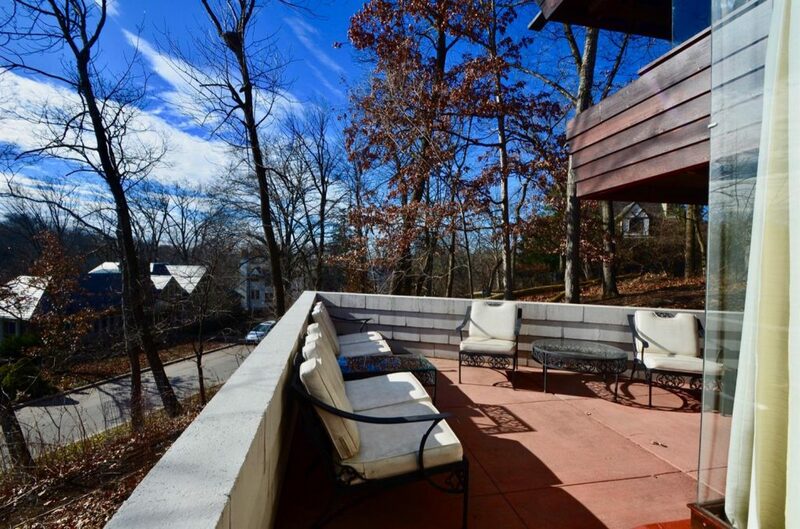 A Cincinnati home built by Frank Lloyd Wright in 1956 has been listed for $695,000. 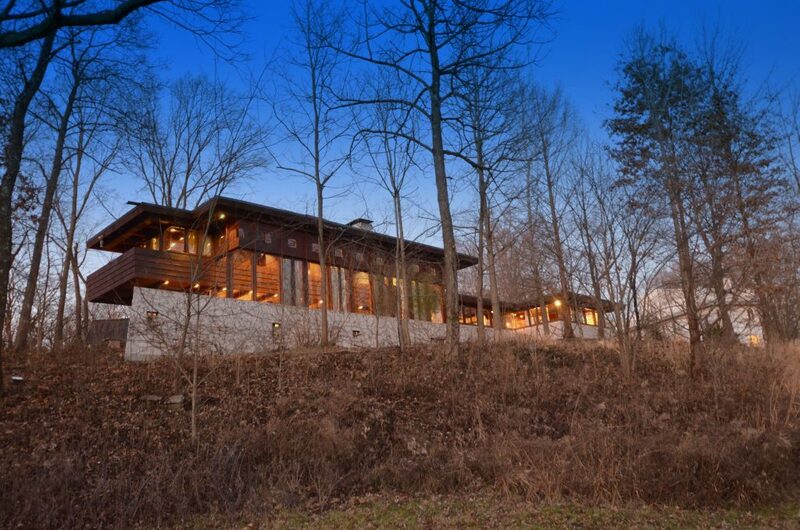 Designed for Cedric G. and Patricia Neils Boulter, two scholars, the house was meant to resemble a ship and is made from African and Philippine mahogany, Douglas fir, concrete, and glass. 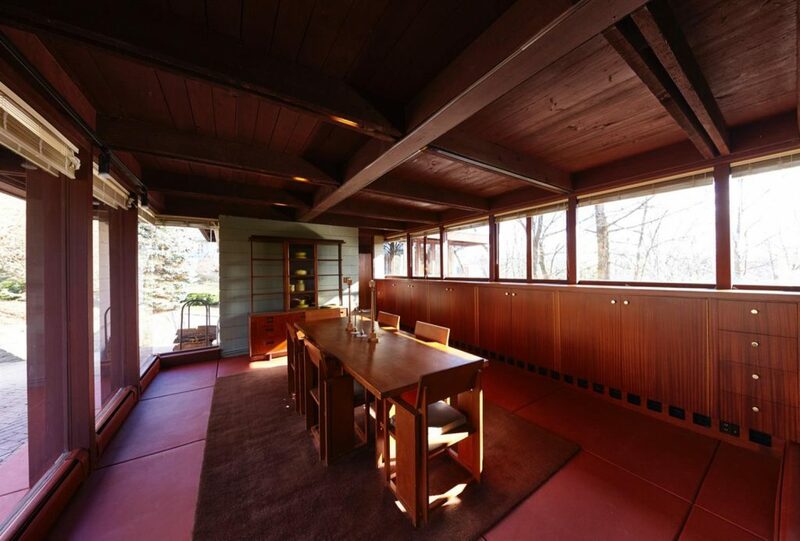 It seems a love of Usonian design ran in the family—Patricia Neils Boulter’s parents also had a home designed by the famous architect, the Frieda and Henry J. Neils House in Minneapolis, which was put on the market last year. 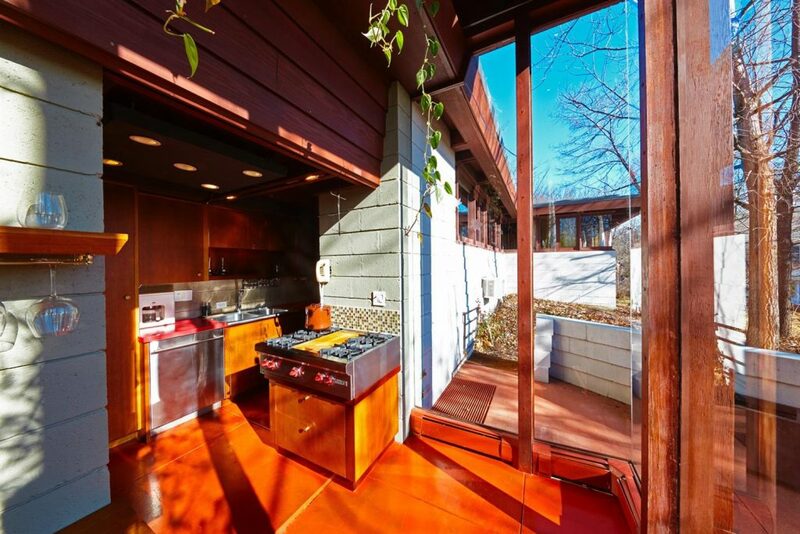 The Boulter House, which is in the National Register of Historic Places, is a two-story, four-bedroom abode which features a number of signature Wright details, like heated floors and a cantilevered balcony. 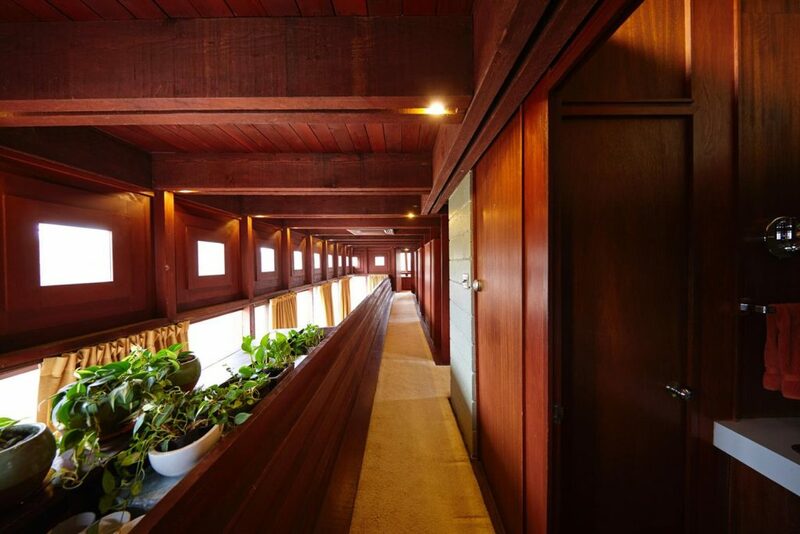 Like many of Wright’s homes, the communal spaces are sprawling while the private spaces (the bedrooms and the kitchen) are relatively small. 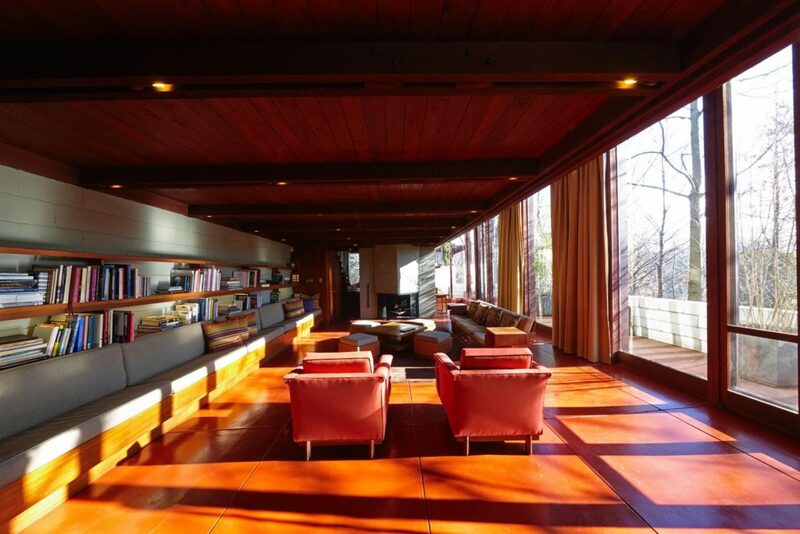 The sale includes all of Wright’s built-in furniture, desks, and bookshelves which was custom-made for the space. The current owners of the house, Chuck Lohre and his wife, Janet Groeber, have spent much of the past 15 years restoring the home to its original design. “When we bought the house in 2003, it needed a handyman,” Lohre told The Cincinnati Enquirer. 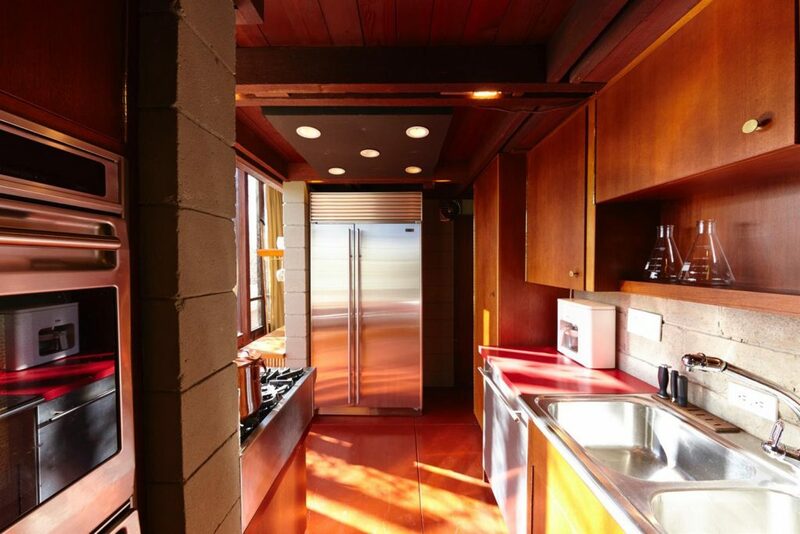 Lohre and Groeber have restored many of its original features, including the kitchen and master bath, and also incorporated modern updates to make the house more livable. 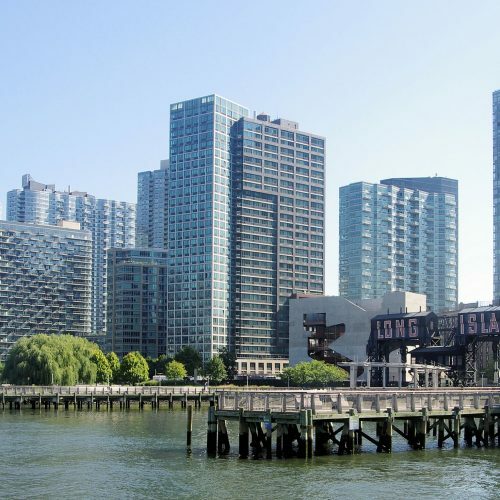 “We added 12 inches of insulation to the roof, pumped insulating foam into the concrete block and used a few other tricks of the trade to make a house with a lot of glass more comfortable,” Lohre said. Lohre estimated the house has reduced its energy consumption by more than 70 percent since he and his wife purchased the home. 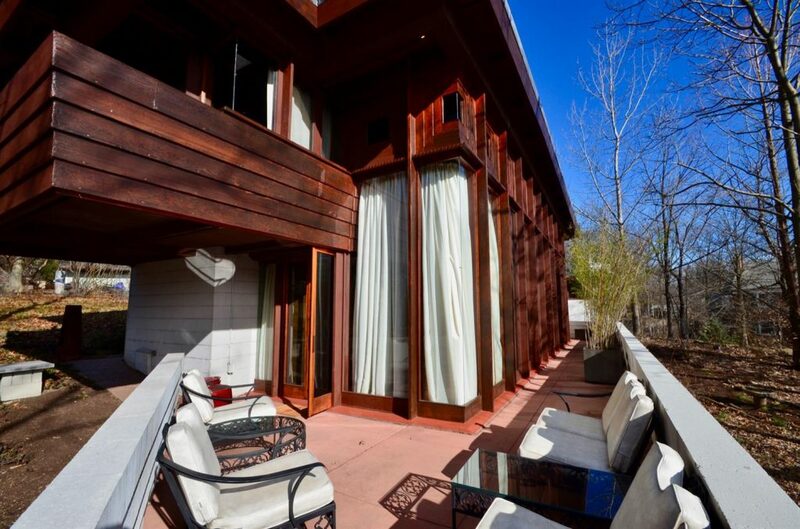 See below for a closer look at the historic home, which is listed with Keller Williams.